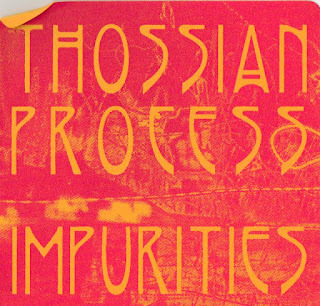 With the release of "Impurities" by Thossian Process, Striate Cortex finds itself in the top three of all time great labels from Lincolnshire. Company Records (Fort Barnes, Rookery Lane, Lincoln) will always hold number one spot for re-issuing "A.C.C." by Robert Rental - probably the greatest single ever released as well as putting out Thomas Leer's "Private Plane" and "Red Planet" by Com-Sat Angels. Half Wombat Records of Gainsborough are in there too. The label run by Horrible Nurds. I was once fortunate to see Horrible Nurds live. They "ambushed" the 1981 Lincoln "Arbo' Fest", claiming the Arboretum Bandstand as their own and creating a sound somewhere between Gong and The Not Sensibles. Great stuff, I played the festival too as drummer for proto-politico-power-pop trio Total Strangers. Other great Lincolnshire labels include Dead Good Records, Don't Dance...Collide Tapes and Cathedral Records. I can't include Deleted Records or Stark because they were (at the time) in South Humberside. 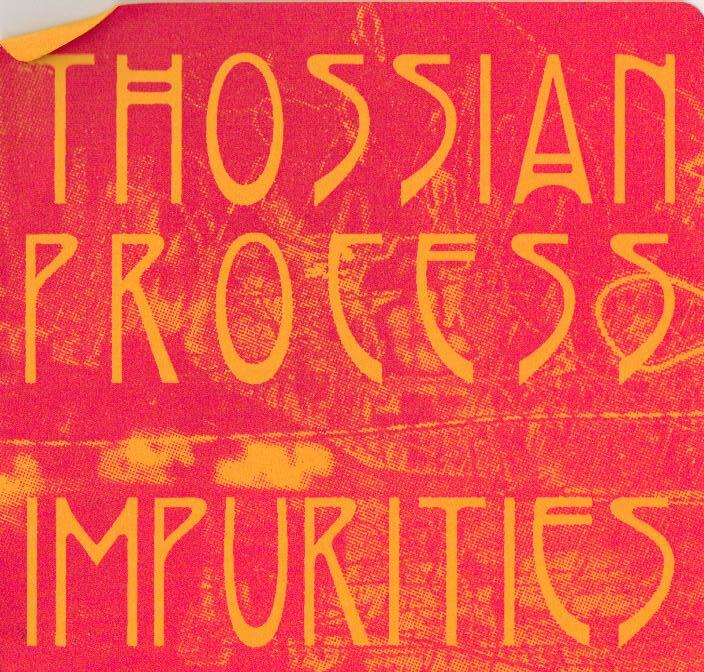 From a letter from head Straite Cortex honcho Andy Robinson I know that Thossian Process is the solo project of Tim Mitchell. Tim was formerly a member of Crimson Rainbow Facility...of whom I know nowt about, but with a name like that I am not too surprised. "Impurities" was mastered by James Moore of Sapir Whorf so Tim maybe American. Just a guess. 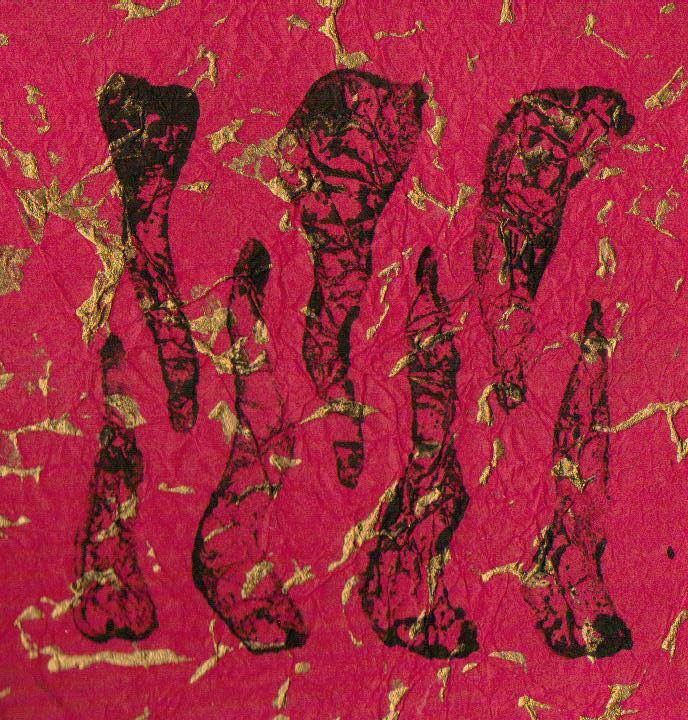 "Impurities" is a compelling listen, a great release to have and one of the best releases of 2012. 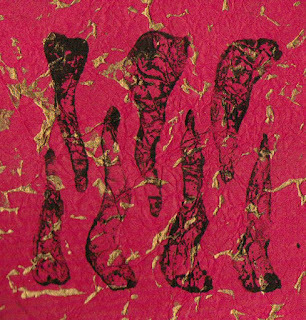 Within the sound I heard Tibetan bowls, resonating ampnoise, violins, trumpets, analog synthesizers, tape manipulation, tone generators and rudimentary rhythms. Hopefully there will be a follow up release soon. 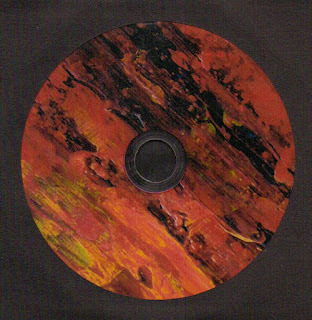 "Impurities" is limited to 60 copies and is available direct for £6 UK/£6.50 Europe/£7.50 ROW from www.striate-cortex.blogspot.uk No Excuses! 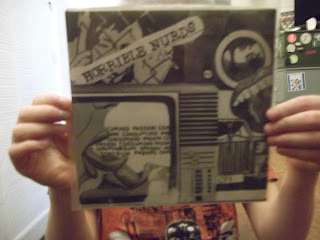 5: Horrible Nurds "Consuming Passion" 7" on Half Wombat Records. 1980. I would stick up a picture of the Robert Rental 7" but my copy is on Regular Records! I'm glad that someone liked that Horrible Nurds concert; I was their drummer, and it was probably the worst concert I have been involved with. Our guitarist was drunk (after hanging about all day waiting for a chance to play); all I really remember of it is that he threw his guitar away at the end, and that the other guitarist wouldn't speak to him for a long time afterwards (we split up that night). Maybe you wouldn't have liked it so much if we hadn't been so chaotic? Dieter Muh Live In Berlin. Feb 15. 2013. Steve Cammack. Watermark theme. Powered by Blogger.